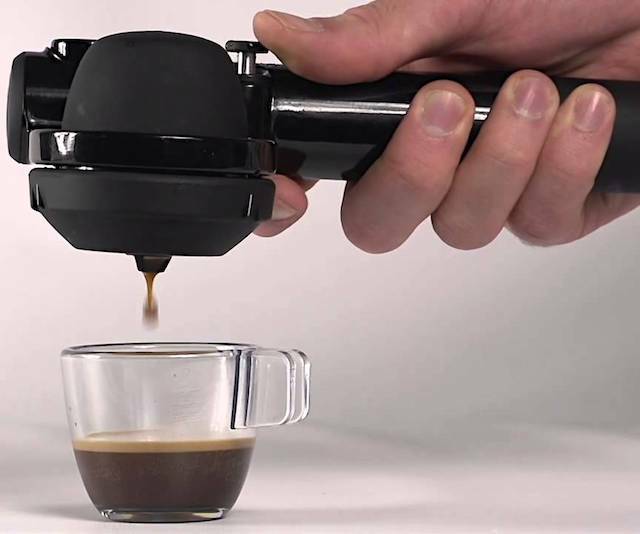 Portable Espresso Machine - What's Goin' On In The Kitchen? Anyone for coffee on the go? This super cool Portable Espresso Machine will meet your coffee-on-the-go needs every day of the week. Probably the smallest coffee machine we could find, all you need is some boiling water and ground coffee or E.S.E. pods and you’re good to go. Coffee machines can be quite expensive in this day and age, and this little device could save you both time and money in your search for the perfect cup of coffee at home or on the go. The machine uses pressure to brew the coffee, so all it takes from you is a few pumps of the lever to brew your favorite cup of coffee instantly! Get yours here today! © What's Goin' On In The Kitchen? 2019. All rights reserved.